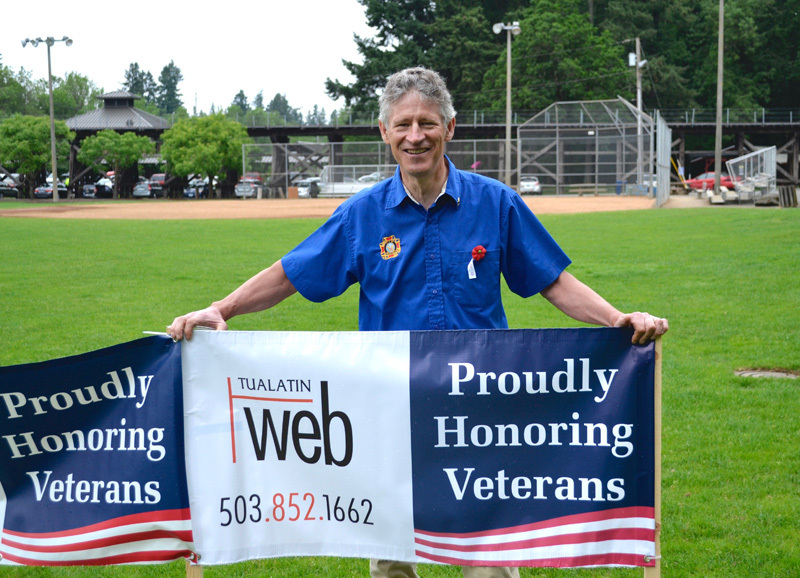 Our Tualatin VFW Auxiliary organizes an annual Memorial Day Picnic at Tualatin Community Park that is open to the public for free, while we do ask for donations. Your corporate sponsorship is one way to help make this community event possible. Catering is provided by Dalton’s Northwest Catering. 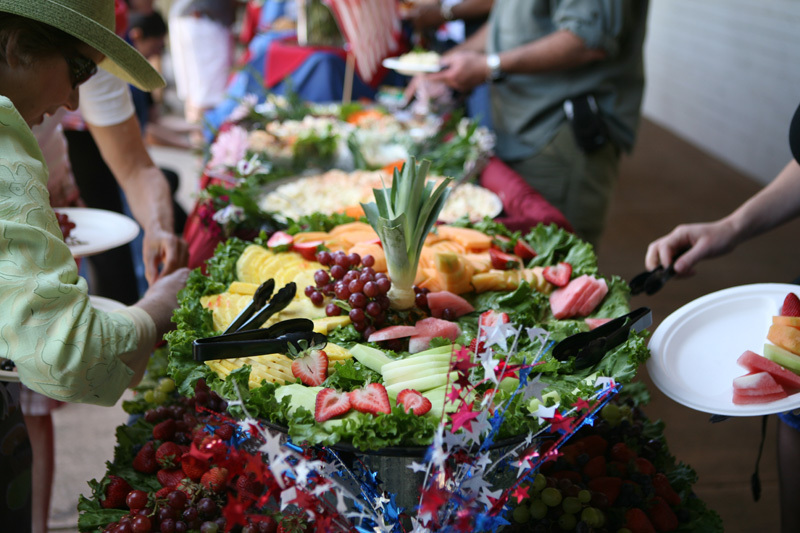 We typically see about 350 people attend our Picnic event and in past years we received TV and newspaper coverage. 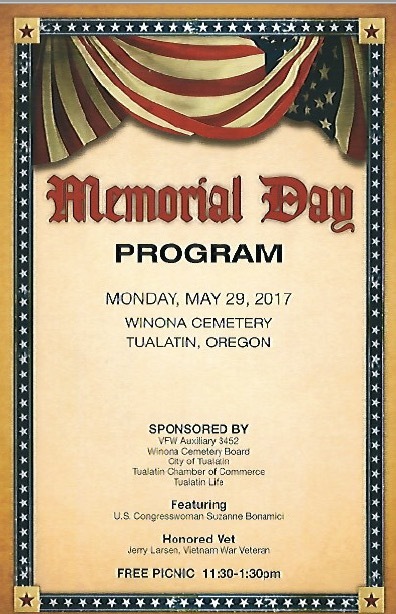 The Memorial Day Ceremony takes place at Winona Cemetery starting at 10:45AM, then the Picnic is at Tualatin Community Park at 11:45AM. The cost to sponsor a banner is $150.00 for the first year, then $100.00 in subsequent years. Just contact us if interested in becoming a sponsor or donating something in-kind. VA Hospital Visits, bringing magazines, neck pillows, slippers and hope to veterans in need. Disabled veterans that make the Buddy Poppies which are offered at Memorial Day and Veteran’s Day each year. Regatta Run, annual fundraiser in memory of Cpl. Matthew Lembke who died while serving a tour in Afghanistan, local Tualatin high school student. VFW National Home for Children. Troop care packages to active duty military.